ELIZA DANVERS: Eliza Danvers is a scientist and the mother of Alex Danvers and foster mother to Kara Danvers. Eliza helped Superman understand his powers along side her husband Jeremiah. When the D.E.O. arrived to take Kara into custody, Jeremiah gave himself up as he knew more about Superman than any other human. Its while serving with the D.E.O. that Jeremiah was killed making Eliza a widow. Eliza tends to be harder on Alex giving Kara the leeway of being from another planet. She often expects Alex to keep an eye on Kara since Kara "doesn't always know better". While Eliza truly believes in the brightness and optimism Kara brings, she isn't fully on board with her being Supergirl. She clearly loves Alex and Kara very much though. Eliza Danvers is played by Helen Slater. 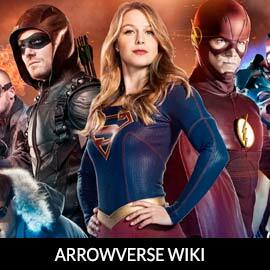 For more info on Supergirl, including her powerset, check out our partners at ArrowverseWiki.